Every day we use a machine called vacuum cleaner to dust off dirt particles at home or office. Today, friends! I am going to talk about the inventor of the machine who not only invented the first powered vacuum cleaner but also suspension bridges and the ferries wheel. 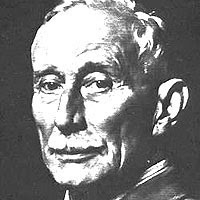 He is none other than an English based engineer Hubert Cecil Booth. Hubert Cecil Booth was born in 1871 in England in Gloucester and did graduation in civil and mechanical engineering from Gloucester College. Then, he went to central technical college in London after he got through an entrance test. He was working as a civil engineer at Maudslay Sons’ &Field and designed large Ferris wheels for an amusement park in London. He also designed bridges and engines for the battlefields. 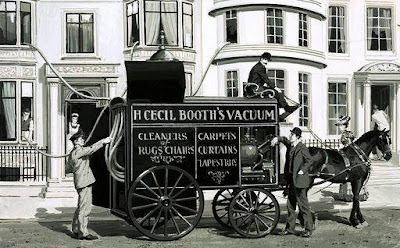 Hubert Cecil Booth is known for inventing the first powered vacuum cleaner however, Denial T. Kenney and David Hess were also behind the invention. Booth was able to do so taking cues from the demonstration of pneumatic carpet renovator machine. He started his experiment keeping the handkerchief on the table and putting the month on the tablecloth which sucked air through it. He named it as “Puffing Billiy” it was so big and pulled around by the horses out of the house to be cleaned. The great engineer and scientist died on 14 January 1955. Google Doodle has given honour to the great inventor on his 147 birth anniversary. We also owe thanks to him for such a great invention. Wow.... never thought abt this.. nice article.. Thank very much for you comment sir.